So it’s time for your new cashmere pullover to be cleaned. Let’s have a look at the manufacturers recommendations. ‘Dry clean or hand wash cold’ they suggest. Nah! Let’s ignore the experts’ advice and plunge your expensive new garment into a 60˚ whites wash. What do they know? 90 minutes later and you’re now the not-so-proud owner of a child’s doll-sized jumper. What to do? Let’s blame the company whose advice we chose to ignore. After all, it’s all their fault… Isn’t it? We can all understand that following his spectacular high-speed right-rear-tyre failure on lap 42 of last Sunday’s Belgian Grand Prix Sebastian Vettel was annoyed. However, when quizzed by the excited F1 media the four-time world champion – who was well aware that his words would be quoted in sports bulletins the world over – should have been a tad more guarded in what he said. Vettel stated that he didn’t ‘go off the track’. Er what?! 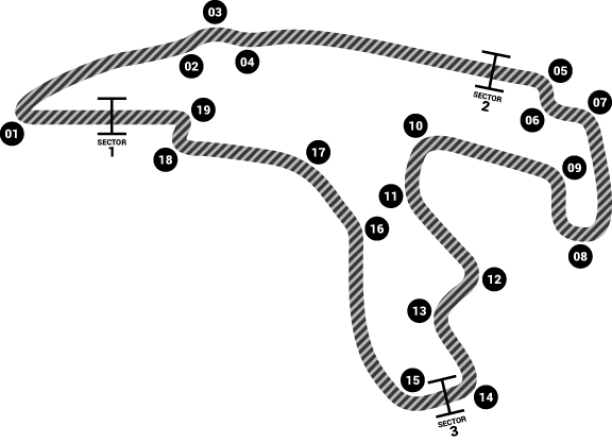 Watch a repeat of the race, and through the apex of the Raidillon corner and the exit of Turn 15 (to name but two) there is hardly a lap – shown on the live TV feed – where the Ferrari SF15-T isn’t running ‘off the track’. Maybe I’m wrong, but I’ve always understood that the white line defines the track’s outer limit, and that running outside of that white line constitutes being ‘off the track’. Sebastian could be seen continually running all four wheels beyond the white line, especially in the laps leading up to the blow-out. As we all know, during last Friday’s FP2 session Nico Rosberg also suffered a right rear tyre failure which Pirelli, after expert analysis, put down to being caused by a cut in the tyre’s surface. Vettel seems to imply – in the same interview – that the tyre supplier is being economical with the truth when it blames failures on the drivers, tyre-cutting debris, and/or kerbs. My point is that all parties are trying to uphold their valuable reputations. Drivers will – mostly! – stick together, but why should we believe Rosberg, or other drivers, any more than we should believe Pirelli? Especially when television evidence would appear to invalidate some of the drivers’ statements. Pirelli have stated that Vettel’s P-Zero failure was down to excessive wear, as a result of significant over-use in terms of laps completed upon the same set of tyres. We have no reason – especially when experienced observers have stated that the nature of the failure on Vettel’s car backs up Pirelli’s claim – to disbelieve them. The fact that the Italian manufacturer lobbied the teams and the FIA unsuccessfully – in November 2013 – for a rule on the maximum number of laps that can be driven on the same set of tyres suggests they are well aware of the risks associated with extreme use. They may revise their reasoning – as to the cause of Vettel’s tyre failure – but for now the Italian firm is sticking to their post race statement. While one can certainly understand the raised emotions of drivers worried that sudden and dramatic tyre failures may put them at risk of injury, and that the hungry-for-a-story media will jump all over such news, there must be some balance. Let’s allow Pirelli to test their product properly. How on earth do we have a situation where the sport’s sole tyre supplier isn’t allowed – other than at a few short pre-season and mid-season tests – to hone their tyres using contemporary F1 car technology? That a company is taken to task for the quality of their product when at the same time they are denied the opportunity to increase levels of performance and safety, by effectively testing said product, is utterly absurd. Can you think of any other sporting arena – with comparable levels of danger – where this is the case? It’s a fact that – rightly or wrongly – there is an undercurrent of negativity among many media-room ‘opinion-formers’ towards Pirelli, and a very real desire to see Michelin as Formula 1’s sole tyre supplier. They may do a ‘better’ job, they may not, but this writer remembers Indianapolis 2005. Walking back to the paddock on that day, I and many of my photographer colleagues were subjected to a barrage of abuse from (understandably) irate spectators reacting entirely negatively to all but six cars taking the start of the United States Grand Prix. Whose fault was that? Michelin and their inability to provide tyres that were safe to run at the very high speeds experienced on the banked sections of the famous oval track. It should be remembered – to Michelin’s credit – that the French company sensibly advised the teams and the FIA that they recommended a laps-per-tyre limit, and speed restrictions, which the teams followed by all retiring from the race before the start. We now – apparently – have a situation where some teams and drivers are in effect ignoring Pirelli’s advice. If this is the case, then surely those very teams and drivers absolve themselves of almost any right to complain when tyres fail as a result of running significantly past their ‘advisable’ limits. Come to think of it, when was that ever applied in Formula 1? !